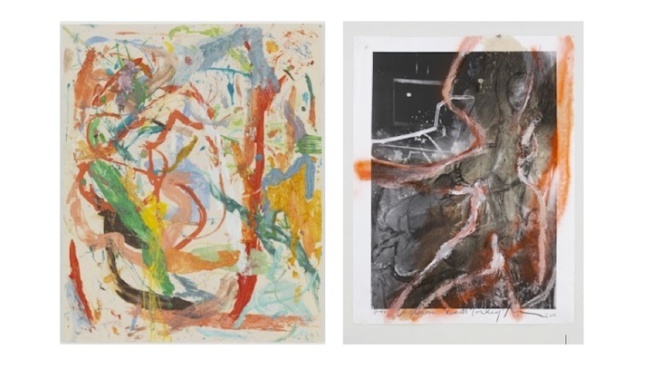 1st Look Loves: Art Basel and "The Dash Snow Initiative"
Works from Dan Colen (left) and Rita Ackermann (right). Among the glittering events happening in Miami for Art Basel is a private dinner and auction presented by Chanel and Paddle8.com to benefit the Henry Street Settlement’s Boys & Girls Republic (BGR) and the Dash Snow Initiative. A group of Snow’s closest friends are honoring his memory by raising funds for an after-school program in his name, and the artists donating works include high-wattage names, such as Julian Schnabel, Ryan McGuinley, Jeff Koons, Richard Prince and Dan Colen, among many others. This unique project honors Snow’s legacy by giving back to the most vulnerable youth in BGR's community, a neighborhood with significant meaning in Snow's life. Bidding is open until tomorrow, December 5th at 12pm EST — please visit Paddle8.com for more information.